Home / Deals / Mission: Impossible, Ghost Protocol | Two-Disc Blu-ray/DVD! Mission: Impossible, Ghost Protocol | Two-Disc Blu-ray/DVD! Right now at Amazon, you can pick up Mission: Impossible, Ghost Protocol on Blu-ray and DVD for only $14.99, down from $44.99! Shipping is Free with Amazon Prime, or Free Super Saver Shipping on orders of $25 or more! This would make a great gift for someone who may have a birthday coming up! Or pick this up for your Hubby and save it for a special occasion! Avery Labels $0.01 with Max Perks at Office Max! 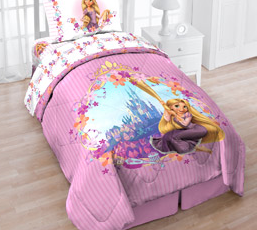 Tangled Bedding Set (Twin Size) $24.88 + Free Site to Store Shipping!